Regulatory difficulties faced in doing business in PNG have seen the World Bank rank the country 119 out of 190 economies. The bank’s flagship report titled "Doing Business 2017" was released on Tuesday ranking world economies including powerhouses United States, China, United Kingdom and others. Prime Minister Peter O’Neill when contacted Wednesday had said he was aware of the report but described it as unfair. O’Neill said this was because the O’Neill/Dion government has been addressing these issues through its Millennium Development Goals (MDG’s) and its Vision 2050. The prime minister had said government would be releasing a statement in response. According to the report the rankings are benchmarked to June 2016 and based on the average of each economy’s distance to frontier (DTF) scores for the 10 topics included in this year’s aggregate ranking. The bank said Doing Business focuses on regulation that affects small and medium enterprises, operating in the largest city of an economy across 11 areas. Of the 11, 10 of these areas are starting business, dealing with construction permits, getting electricity, registering property, getting credit, protecting minority investors, paying taxes, trading across borders, enforcing contracts, and resolving insolvency. 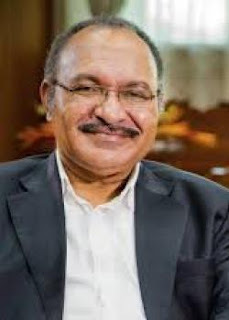 The report sees PNG lagging behind four other smaller Pacific Island countries including Vanuatu which globally has been ranked 84 with a DTF score of 63.66 ahead of PNG’s 57.29. Behind Vanuatu, is Tonga which was ranked 85 (with a DTF of 63.58), Fiji - 97 (DTF-60.71), Solomon Islands 104 (DTF-59.17) while behind PNG on 136 is Palau. The survey had been carried out in some of the economies in just one city, as was the case for PNG in Port Moresby while in others in two cities. In its global country rankings of business efficiency Doing Business 2017 awarded its coveted top spot to New Zealand, seconded by Singapore, Denmark, Hong Kong, China, Republic of Korea, Norway, United Kingdom, United States, Sweden and former Yugoslav Republic of Macedonia. The top 10 improvers based on reforms undertaken to improve ease of business were Brunei, Khazakstan, Kenya, Belarus, Indonesia, Serbia, Georgia, Pakistan, United Arab Emirates and Bahrain. The bank in its statement said the reports cites research demonstrates that better performance in Doing Business is on average associated with lower levels of income inequality, thereby reducing poverty and boosting shared prosperity. World Bank’s chief economist and senior vice president Paul Romer said "simple rules that are easy to follow are a sign that a government treats its citizens with respect. "They yield direct economic benefits more entrepreneurship, more market opportunities for women, more adherence to the rule of law," he said.